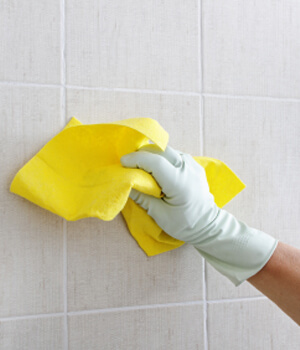 You might be surprised to learn some shortcuts that can get you far, fast and on your way to a clean house this spring. In this spring cleaning video, Molly Maid of Greater Little Rock Executive Vice President Michael Silva-Nash appears on KTHV-TV-Little Rock to share the tips you need to make progress toward spring cleaning without tons of effort. Change the air filter in your furnace. It will trap dust for you. Use dryer sheets, even used ones, as dusting rags for window blinds and baseboards. They leave a trace of anti-static fabric softener that repels dust and also leaves a nice smell. Speaking of smells, if spring cleaning for you extends to cleaning your vehicles, you'll find that placing one or two pieces of charcoal (not the kind with lighter fluid) under the seats will eliminate odors remaining from potty training accidents, food crumbs, old banana peels, spilled beverages and more. Does your garbage disposal need cleaning? It's probably an easier job than you think. Before calling a plumber or trying to clean way deep down there, try cleaning the garbage disposal’s splash guard. After making sure the disposal is turned off, use a disinfectant-dipped rag to wipe the top and bottom of the black, rubber ring, in your sink. It's this easily accessible area that's usually the culprit with a disposal that smells or is attracting fruit flies. When tackling your glass and mirrors, use newspapers instead of cloth or paper towels, and your windows will be streak free without lint residue. Save time and effort cleaning stainless steel appliances by applying baby oil to a microfiber cloth and wiping with the grain.